20TH JUNE 1917: ONLY FOUR EMPTY BEDS HERE NOW – I HAVEN’T FOUND ANOTHER ARTIST YET. Quarter Master, The Cenacle, Red Cross Hospital. NURSE G. LEATHAM*. B.R.C.H. Atherton Street, New Brighton (1): LETTER to Pte BERTIE HIBBETT, 95, Foden Rd Walsall. Very many thanks for your photograph & the card you sent with it – it was just like you to do something out of the common. Beck (2) told me that you had a job close your home now (3). I’m so glad that you were so lucky & I hope you’ll keep it till the end of the War – that is, of course if the work is congenial. We have only four empty beds here now – some (new patients) are Canadians (4) – but I don’t think there is anybody from your part of the world. I haven’t found another artist yet, so I have to print my own labels etc. but I’m glad to say I have not run short of the Engagement Lists (5) yet – I should not like to come down to written ones again! I remember you asked in your letter for all the news of the King’s visit (6)– I cannot tell you very much as none of the staff went over to Fazakerley (7)– only the patients. They started very early in the morning & went over in motors & ambulances & then had to stand for about two hours until the Queen came. The King was not with her – she passed by all the men & spoke to one or two who were in front of our patients – then they came home. All the people here are well. Sister (8) is away for a week & Matron* has a bad cold. 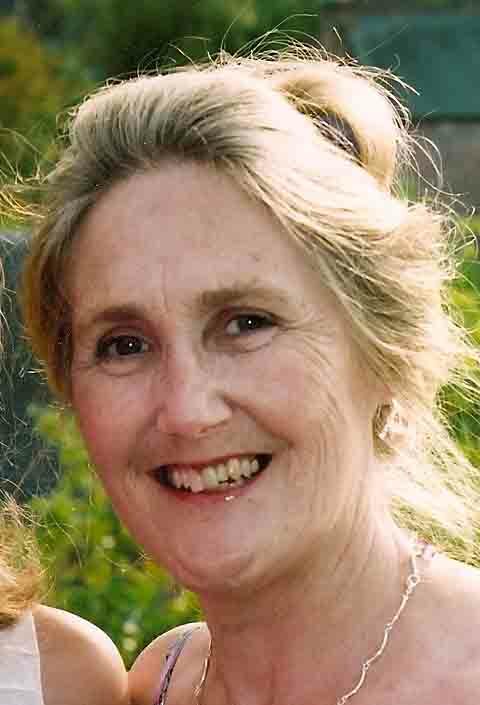 I have been off with a bad septic throat – but fortunately it has made up its mind to leave me in peace. Will you be coming up here for your summer holidays?(9). I hope you and Mrs Hibbett are keeping well. What pictures are you painting now if you have any spare time? The Dining Hall still looks O.K. (10). ‘Only four empty beds’. With the beginning of the 3rd Battle of Ypres the pressure on Hospitals back Home was mounting. Nurse Leatham seems to have had an administrative post; maybe she is the Nurse in the photo above labelled ‘Quarter Master’ – probably in charge of Patient appointments & Nurses’ rotas, as well as stocks. She is obviously missing my father’s artistic & calligraphy skills; he had made himself very useful in the nine months he had spent at The Cenacle. (1) Address ‘B.R.C.H. Atherton Street’ – not found as separate Red Cross Hospital – most likely a Cenacle extension, to accommodate increasing numbers of wounded in the battles of 1917. (2) Corporal J. Beck: 1/10th Liverpool Scottish Regt., one of the 5 friends who shared Ward 10 at the Cenacle from July, 1916. 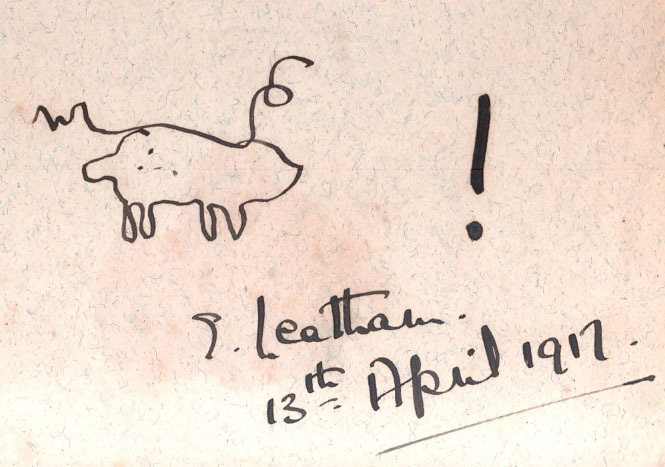 Note in Pte Bertie’s Autograph Album: ‘J. Beck underwent 10 operations‘ on his arm, presumably at Fazakerley Hospital, Liverpool). (3) ‘A job close your home’: My father may have continued his mining surveyor apprenticeship with Mr C.F. Nightingale, Lichfield Street, Walsall, the year before entering Lichfield Theological College, in1918. 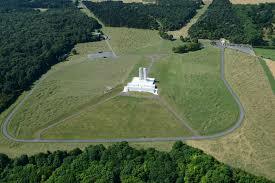 Vimy Ridge Memorial from the air. 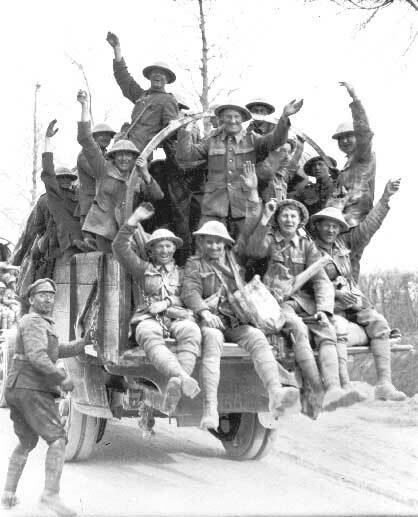 (4) Canadian Expeditionary Force. C.E.F. Canadians arriving at The Cenacle by 20th June 1917, may have been wounded in Battle of Messines 7-14th June, one of opening battles of 3rd Battle of Ypres. Canadian Victory, Vimy Ridge. 9th-12th April 1917. NB Many UK emigrants to Canada (including perhaps men of my mother’s family) returned immediately War broke out, to serve in their local regiments. Others joined the C.E.F. In the Battle of Arras they captured the notorious Vimy Ridge 9th-12th April, 1917. (10,000 killed and wounded). My father fought there with the South Staffords in 1916. Hibbett Letters: 13th; 26th March; 2nd;14th;16th April 1916. Vimy Ridge Memorial to Canadian Missing. The Vimy Ridge Memorial commemorates 11,285 Canadians killed in WW1 who have no known grave. Walter Seymour Allward. 1876 -1955. 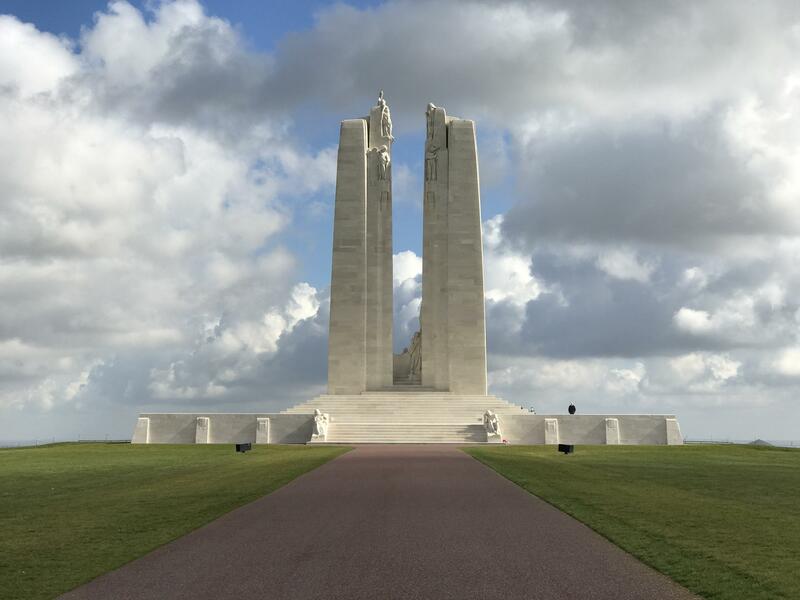 An awesome sight, set high on the lofty hill to draw eye & foot from miles around, the Memorial was designed by Walter Seymour Allward (Canadian sculptor) & erected on land ceded to Canada by France in 1922. Queen Mary of Teck. 1867 -1953. 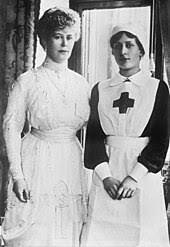 (6) King George Vth & Queen Mary of Teck visited Red Cross Hospitals in France & UK during WW1. 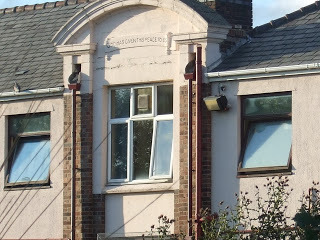 (7) Fazakerley Hospital, Liverpool: see Hibbett Letters: 25th Nov. 1916 -10th Dec. 1916 (apologies for mis-spelling name). 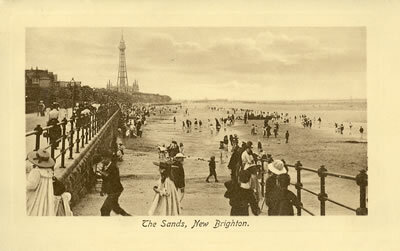 (9) Summer Holidays: Hibbett Family holidays, before & during the War, alternated between Abergele in Wales and Whitby. (10) Dining Hall: ref. to a mural? – or perhaps a frieze of flowers – like those my father painted at Tathwell Vicarage, Lincs in 1940-50s. NEXT POST: 12th July 1917. Pte Bertie Hibbett Discharged the Army – ‘no longer physically fit for further War Service’. Previous Post12th &13th APRIL: RED CROSS NURSES – WE WILL REMEMBER THEM.Next Post13TH JULY 1917: Pte BERTIE HIBBETT IS DISCHARGED THE ARMY ‘BEING NO LONGER FIT FOR WAR’.